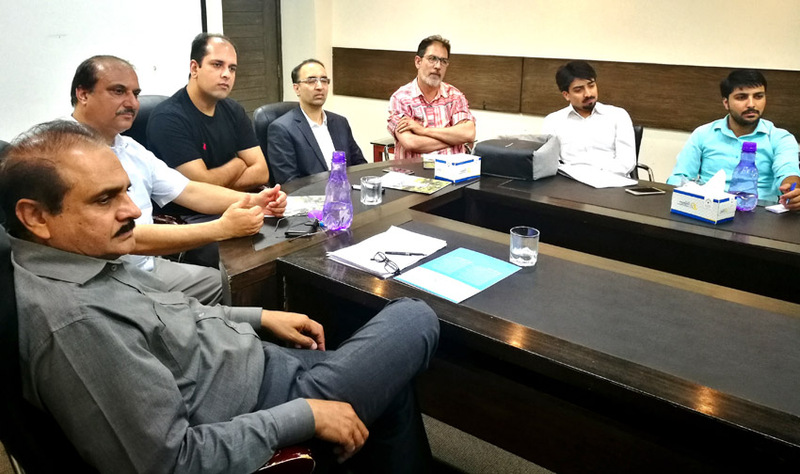 Amidst sobs, tears and nostalgic reverberations; a study on divided families of Jammu & Kashmir titled ‘Tales of Separation and Reunion’ was launched here in Islamabad yesterday. A gathering of around thirty people, convened by Center for Peace, Development and Reforms, CPDR, turned into a mourning session when people from divided families shared their stories of separation and divide, spanning over a period of seven decades. Speaking on the occasion, the author of the study Mr. Qaiser Khan opined that the reverberations of Jammu and Kashmir’s division echo in every nook and corner of the erstwhile State. He explained that despite the cries of people resonating in stairwells and hallways of history, their plight remained unnoticed. He further stated that unlike Punjab, Bengal and rest of the sub-continent, the division of Jammu and Kashmir is different as there was no conscious effort on the part of Kashmiri people to divide their homeland. In a melancholic tone, Shaista Safi, a Kashmiri migrant from district Baramulla, spoke about how her mother yearned dearly in the final days of her life for her burial in her homeland but her last wish remained unfulfilled. 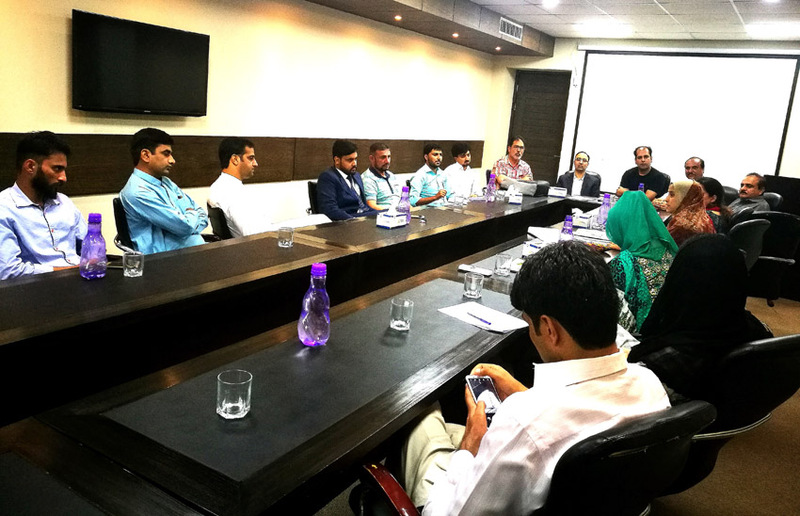 Stressing on the importance of documenting stories of Jammu and Kashmir’s forcible divide, she said that the elder generation of Kashmiris never considered it appropriate to share their personal stories and impressions of the conflict. She applauded the author for breaking away from the tradition and suggested that others must follow suit to enrich the humanitarian discourse on Kashmir. Activist workers from International Marxist Tendency, Jammu Kashmir Peoples Party and Peoples National Party, were present on the occasion which highlighted the requisite for a political resolution of the Kashmir conflict. 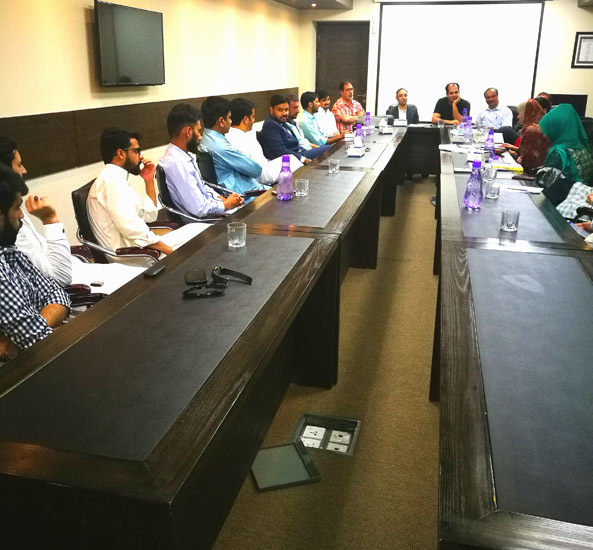 They stressed the need for an inclusive and people-centric discourse on Kashmir, claiming it to be the only potent political method for achieving the right of self-determination. The leading lobbyist, Mr. Altaf Hussain Wani shed light on the importance of soft diplomacy on the Kashmir issue. He stated that it is high- time to yield space to the younger generation for presenting the case of Kashmir in a modern and humane way. In his address, Executive Director of CPDR, Mr. Ershad Mahmud drew attention to the fake binary division of human versus political discourse, and argued that both forms of discourse always act in tandem with each other. He stressed the need for documentation, narration and preservation of the memories of the conflict, citing examples of Ireland, South Africa and Palestine. He applauded the author for his unique initiative and stressed the need for more endeavours of such kind. Eminent educationists and authors like Dr. Rashid Aftab, Director - ‎Riphah Institute of Public Policy, Riphah International University Islamabad; Dr. Waqas Ali Kousar, Assistant Professor Atia Anwar Zoon, Hafsa Masoodi, Jalaludin Mughal and Anum Zakria were present on the occasion who stressed the importance of writing history and reporting conflict from the masses’ perspective, and opined that the younger generation of Kashmiri authors have made significant strides in this direction. In a gloomy voice, the convener of AJK-Chapter of All Parties Hurriyat Conference (APHC), Syed Faiz Naqshbandi concluded the event by narrating the story of his mother who had died recently in Srinagar and despite his utmost desire; he was unable to attend her funeral.He opined that it is not only the pain of separation but a deep rooted sense of helplessness that has engulfed the consciousness of Kashmiris; being demonstrated by the fact that people across the divide cannot share each other’s grief and happiness despite living at a stone throwing distance. He deplored the worsening human rights situation in the Kashmir Valley and stated that Kashmiris have been fooled by a chimera of moral values that are literally non-existent in the case of Kashmir.